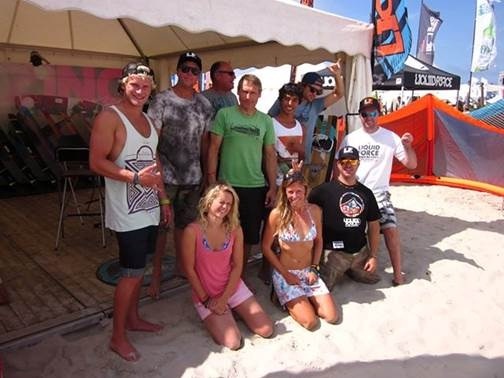 Last week Best Kiteboarding took King of Watersports rider Paul Webber out to test the new kit. From start to finish, its safe to say he was more than impressed with what the Kites had to offer. “First impressions. Great bag. If they went to this much effort on the bag , what was the kite going be like….? “In honesty, blooming fantastic. The kite looked good, felt good and flew like a dream. 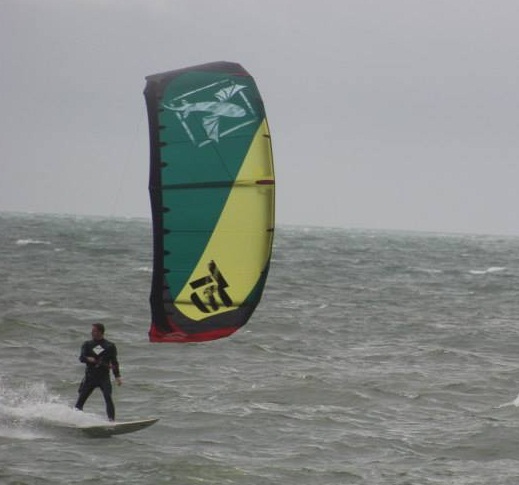 I have been a Switchblade die hard for some time now and I knew that it was going to be difficult to find a kite that could compete against the SB for all round performance. “The bar feels comfortable and isn’t over complicated. There’s an above bar cleat for depower which is easy to use. A straight-forward quick release safety system. Sitting above that is a collar that you can twist to unwind your two centre lines following kite loops. “The kite is well built and looks a treat. I’ve always liked the flying fish brand logo and it sits quite nicely on the coloured canopy. I set the kite up on the light bar pressure on the kite and the knot closest to the kite on the outside bridle. 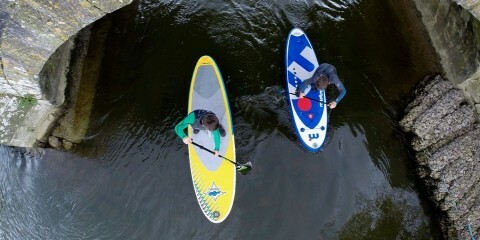 “On the water the kite is responsive and has the right amount of bar pressure. Not too much and not too light. The kite loves to hack up wind and seems to have a good amount of bottom end. I was on the 9 and others were out on 10&12’s. I’m no flyweight and weigh around 95 kilos suited up. “I loved the kite on a surfboard. 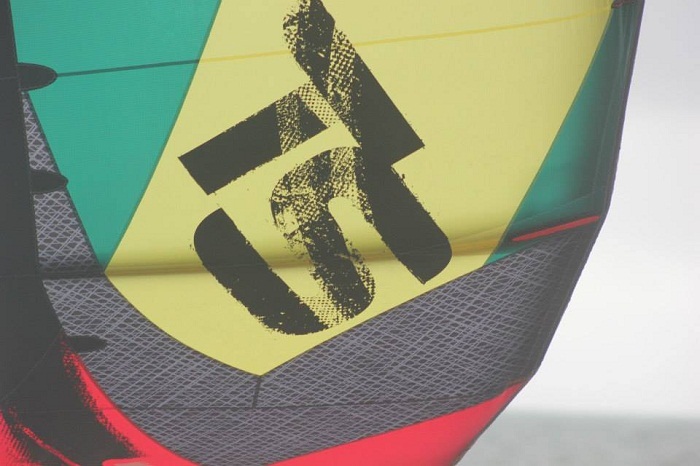 Best’s wave specific kite is the Cabo, but the TS is a serious contender to that throne. 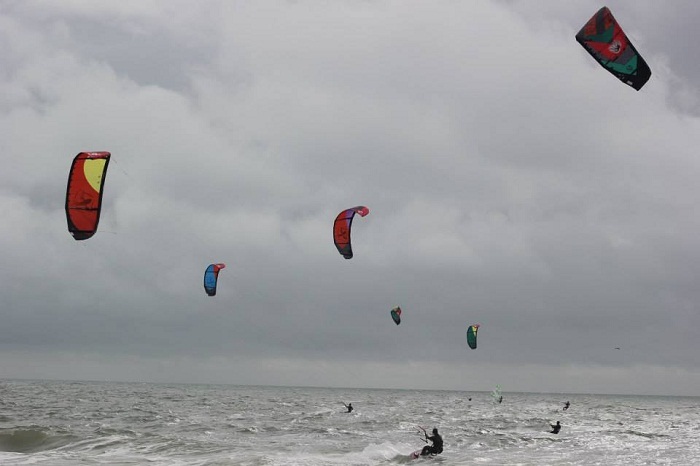 Being a great all round kite you can pop big air, go un-hooked or bash out waves.